Passionatemae | Food has a way of bringing people together: How to make good Meringues? The long weekend is coming up...What will you be doing? I'm sure it's something fun. 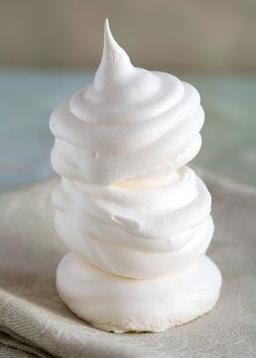 I've got some tips to share with you if you're planning to bake - and you're using whipped egg whites (meringues). There are so many goodies that are made out of meringues...like Macarons, Meringues, Bombe Alaska, Pavlovas, Sponge, waffles, Mousse and so on. So it is important that you know how to do so to avoid any pitfalls. 1) Ensure that your egg whites are at room temperature. The egg whites will not whip properly if it is COLD. - If your egg whites are cold, just break the eggs into your whipping bowl and put it over a bain marie or warm bowl of water. The temperature of the egg whites should be the same temperature as your finger (where you will neither feel it's hot or cold when touched). 2) Make sure that the bowl and tools that you're using are CLEAN and is not contaminated by any GREASE. 3) Whip your egg whites only when you're about to use it. It shouldn't be whipped and left sitting on the counter. 4) Egg whites can be kept for a very long time, covered in the refrigerator. 5) Add a pinch of cream of tartar, it helps to strengthen it's structure. 6) Make sure that you add the sugar in only when it starts foaming. Gradually add in sugar and not all at once. It is important for the egg whites to have enough time to absorb all the sugar. Hi there! It's my first time here - you have a really cute blog. I love 2 read www.passionatemae.com ! That look like a pretty cool and neat dallop! Thanks for the tips! ChopinandMysaucepan: thanks! no worries! Goodluck!